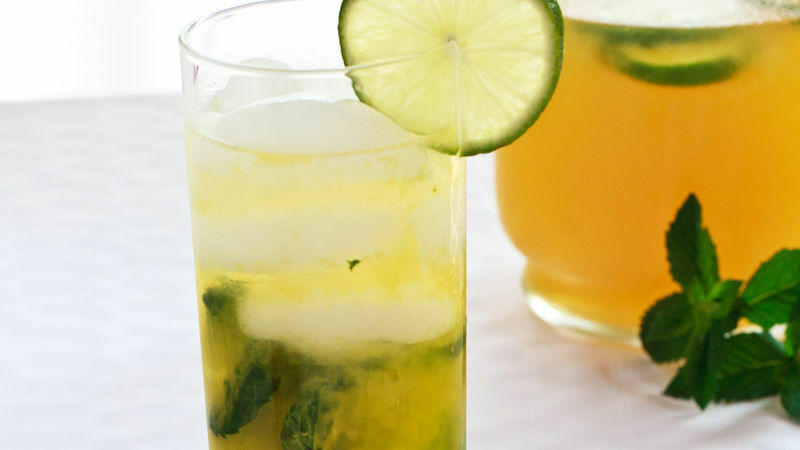 In 2-quart pitcher, stir together passion fruit nectar, rum and lime juice. Float lime slices in punch. In each of 6 tall straight glasses, muddle (mash together) 6 mint leaves. Fill each glass halfway with ice; pour punch over ice. Serve immediately. You can find passion fruit nectar and juice in the ethnic foods section or aisle of many supermarkets or at Hispanic grocery stores. A citrus reamer or juicer does an excellent job extracting juice. You will get more juice from each lime using this method than if you squeeze by hand.